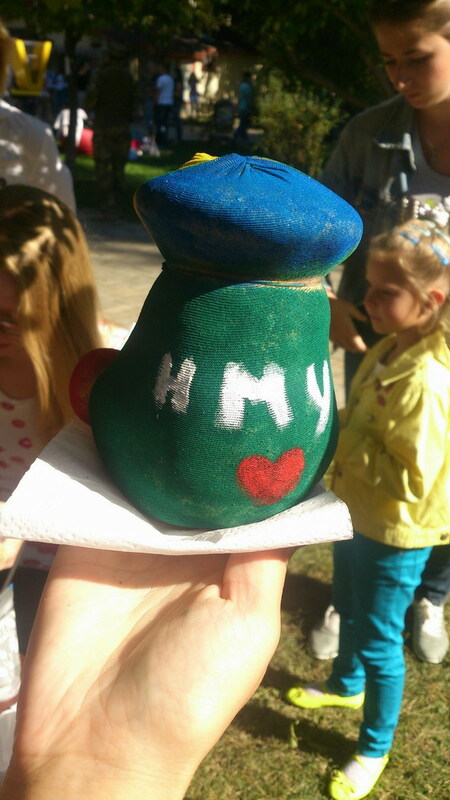 On 6th of September 2014 Charity fair “United” took place at Taras Shevchenko park. 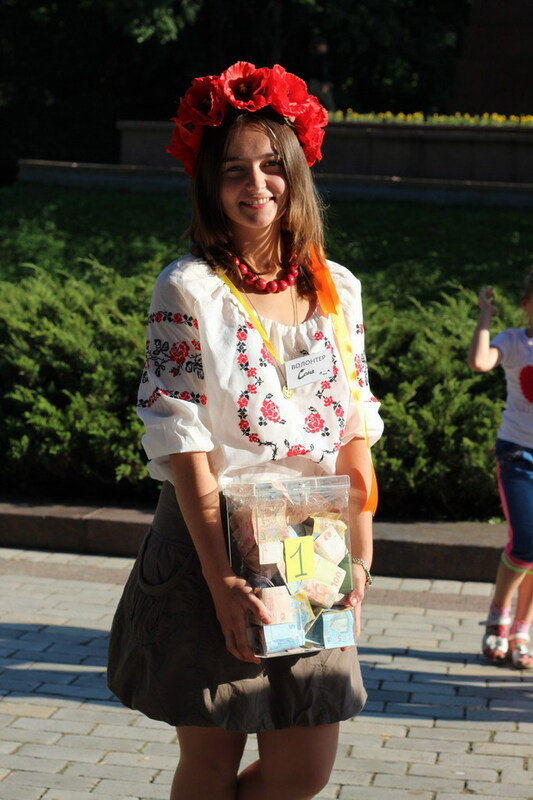 The event was organized by Students parliament of Bogomolets National Medical University together with Taras Shevchenko Kyiv National University, Kyiv National Economic University, Kyiv Technology and Design National University, Kyiv Mohyla Academy and Kyiv National Linguistic University. Event was holding during the whole day, though there were many guests there, which had a possibility to participate in numerous master-classes, for example henna body art, making of motanka-doll, candles, hay spinning, walking on rope etc. Fair participants had a possibility to participate in filming the video-letter for East, pass the gratitude and support words to our soldiers. Students’ bands, singers, public activists, volunteers, anybody who had what to say, performed on stage. From our university there were many volunteers, students which sang and hold master classes, finalist Emin Samedli – semi finalist of TV-show “Ukraine has a talent”, Anna Makuh, Oksana Dovgopalova, which not only run the great master-class on fire art, but also performed at the end of event and surprised everybody with her talent. Also Latin-American and modern dances master-classes were conducted, photo drying on topic “Ukraine-United” took place. 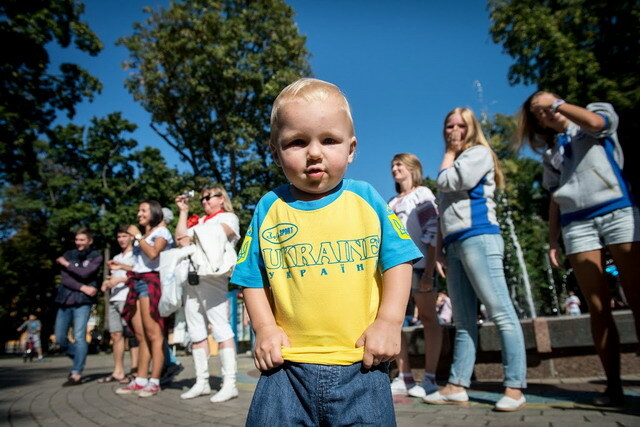 All gathered funds will be allocated to support ATO combatants, refugees form Crimea and Eastern regions of Ukraine. Thanks everybody who joined this event!